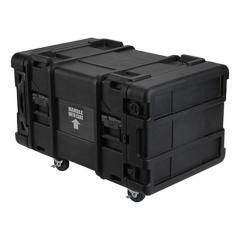 justCASES is proud to offer a wide selection of SKB manufactured cases. These cases are extremely tough, and offer a lifetime warranty. Military Spec cases: These waterproof cases meet or exceed demanding military specifications. They're great alternatives to Pelican cases. 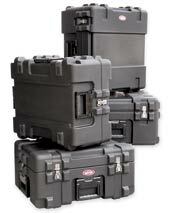 Rail Pack cases: Light weight cases, great for movie, camera or tradeshow equipment. Plasma or Flat Screen cases: Custom designed for display screens. Shock Mount cases: Specialized cases for field operation of computer equipment. Utility Rollers: Big trunk like cases for a variety of equipment.